What is the most important information I should know about tapentadol? Tapentadol can slow or stop your breathing, and may be habit-forming. Use only your prescribed dose, and swallow the pill whole to avoid a potentially fatal dose. Never share tapentadol with another person. Tapentadol may cause life-threatening withdrawal symptoms in a newborn if the mother has taken this medicine during pregnancy. 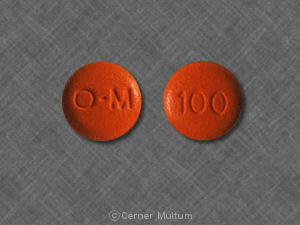 Tapentadol is an opioid pain medication. An opioid is sometimes called a narcotic. 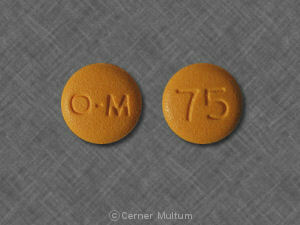 Tapentadol is used to treat moderate to severe pain. The extended-release form of this medicine (Nucynta ER) is for around-the-clock treatment of pain that is not controlled by other medicines. 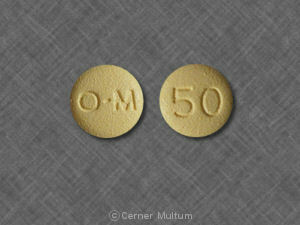 This form of tapentadol is not for use on an as-needed basis for pain. What should I discuss with my healthcare provider before taking tapentadol? Do not use tapentadol if you have taken an MAO inhibitor in the past 14 days. A dangerous drug interaction could occur. MAO inhibitors include isocarboxazid, linezolid, methylene blue injection, phenelzine, rasagiline, selegiline, and tranylcypromine. Some medicines can interact with tapentadol and cause a serious condition called serotonin syndrome. Be sure your doctor knows if you also take medicine for depression, mental illness, Parkinson's disease, migraine headaches, serious infections, or prevention of nausea and vomiting. Ask your doctor before making any changes in how or when you take your medications. Tapentadol is more likely to cause breathing problems in older adults and people who are severely ill, malnourished, or otherwise debilitated. It is not known whether this medicine will harm an unborn baby. If you use tapentadol while you are pregnant, your baby could become dependent on the drug. This can cause life-threatening withdrawal symptoms in the baby after it is born. Babies born dependent on habit-forming medicine may need medical treatment for several weeks. Tell your doctor if you are pregnant or plan to become pregnant. It is not known whether tapentadol passes into breast milk or if it could harm a nursing baby. You should not breast-feed while using this medicine. Do not give tapentadol to a child. Follow all directions on your prescription label. Tapentadol can slow or stop your breathing, especially when you start using this medicine or whenever your dose is changed. Never use tapentadol in larger amounts, or for longer than prescribed. Tell your doctor if the medicine seems to stop working as well in relieving your pain. Tapentadol may be habit-forming, even at regular doses. Never share this medicine with another person, especially someone with a history of drug abuse or addiction. MISUSE OF NARCOTIC MEDICINE CAN CAUSE ADDICTION, OVERDOSE, OR DEATH, especially in a child or other person using the medicine without a prescription. Selling or giving away tapentadol is against the law. Take this medicine with a full glass of water. Tapentadol can be taken with or without food. Stop taking all other around-the-clock narcotic pain medications when you start taking tapentadol extended-release tablets. Tapentadol can cause constipation. Talk to your doctor before using a laxative or stool softener to treat or prevent this side effect. While using tapentadol, you may need frequent blood tests. Do not stop using tapentadol suddenly, or you could have unpleasant withdrawal symptoms. Ask your doctor how to safely stop using tapentadol. Never crush or break a tapentadol pill to inhale the powder or mix it into a liquid to inject the drug into your vein. This practice has resulted in death with the misuse of tapentadol and similar prescription drugs. Keep track of the amount of medicine used from each new bottle. Tapentadol is a drug of abuse and you should be aware if anyone is using your medicine improperly or without a prescription. Do not keep leftover tapentadol pills. Ask your pharmacist where to locate a drug take-back disposal program. If there is no take-back program, flush any unused pills down the toilet. Since tapentadol is used for pain, you are not likely to miss a dose. If you do miss a dose, take the medicine as soon as you remember. Skip the missed dose if it is almost time for your next scheduled dose. Seek emergency medical attention or call the Poison Help line at 1-800-222-1222. A tapentadol overdose can be fatal, especially in a child or other person using the medicine without a prescription. Overdose symptoms may include slow breathing and heart rate, severe drowsiness, muscle weakness, cold and clammy skin, pinpoint pupils, and fainting. What should I avoid while taking tapentadol? Do not drink alcohol. Dangerous side effects or death can occur when alcohol is combined with tapentadol. This medication may impair your thinking or reactions. Avoid driving or operating machinery until you know how tapentadol will affect you. Dizziness or severe drowsiness can cause falls or other accidents. What are the possible side effects of tapentadol? Like other narcotic medicines, tapentadol can slow your breathing. Death may occur if breathing becomes too weak. This list is not complete. Other drugs may interact with tapentadol, including prescription and over-the-counter medicines, vitamins, and herbal products. Not all possible interactions are listed in this medication guide. Your pharmacist can provide more information about tapentadol. Copyright 1996-2017 Cerner Multum, Inc. Version: 6.07. Revision date: 9/30/2016.